Google is holding their annual Google I/O developer conference next month. The next version of Android Key Lime Pie version 5.0 is expected to release in that event. 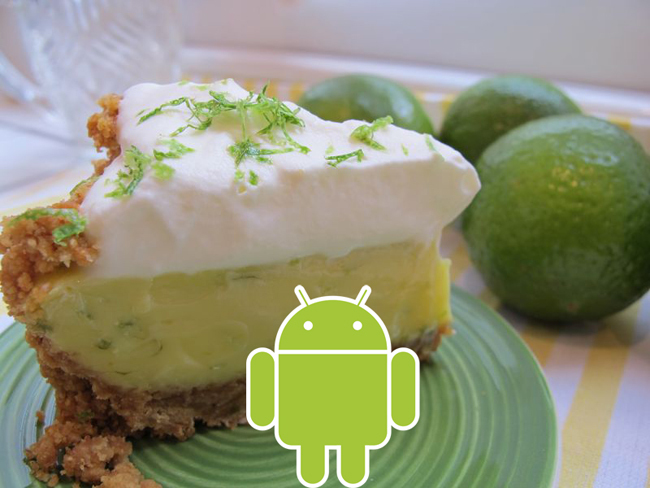 What is Android Key Lime Pie? Android versions have been developed under a codename and released in alphabetical order: Cupcake, Donut, Eclair, Froyo, Gingerbread, Honeycomb, Ice Cream Sandwich, and Jelly Bean. Google named the upcoming latest version of Operating system as “Key Lime Pie“. Android 5.0 Key Lime Pie features are safe guarded till now, there is no details are announced by Google yet. So the details here we are discussing only based on the some leaked details, rumours and opinions from app developers. Many rumoured that this latest version of Android KLP 5.0 will come with profiles. This feature is all about managing your phone better to increase the performance and get more battery life. Performance profiles are bit a like laptop power plan settings balanced, battery saver, High performance, but it is not the same concept here. For example, when you go to sleep you don’t need automatic Facebook notification, Twitter feeds and mail sync, so that time you can enable a profile like BedTime to cut down those extra tasks by changing any settings like turn on airplane mode or something. Obviously, You can achieve these kind of feature from third-party application, but we expect some more polished in-built feature like this in Key Lime Pie. Till now Android operating system lacks in better social integration in core functions. But Google’s product Google+ has been implemented nicely. Though other social network giants like Facebook, Twitter haven’t had better integration in the OS. So that mobile manufactures like Samsung , HTC built their own interface and Notification for Social network updates to stand out between rivals. This feature is for those people who frequently switches out the SIM card. When you have frequently changed your SIM, you may lost your SMS messages at some point. The cross Device SMS sync will keep your messages in all your devices by storing it on a phone, SD Card or on a Cloud services. This feature will help Android power-users to switch between devices more easily. For example, If Android users watches the movie from Google play in their smartphone and stopped the movie in the middle part and switched on their tablet, they can watch continuously from tablet where they leave it on their smartphone. This feature seems like nothing hot, but Google may introduce some other options like this when they release Key Lime Pie. This feature gives you the ability to demo apps and games on the Google Play market before downloading them. Google has planned to put the default video chat app which avoids third-party video chat applications to be installed on your device to make video calls. Keep Visit for More updates about this story.